Welcome to the latest entry in the science visual adventure series. 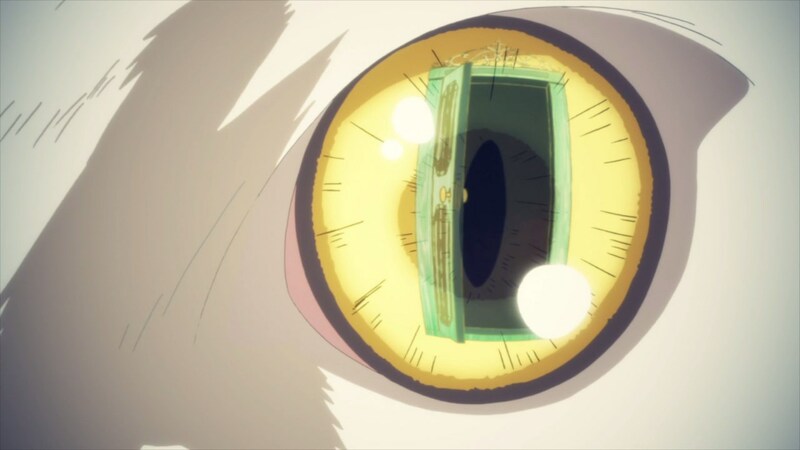 Occultic;Nine’s condition as an outrageous production is no secret to those that read last week’s ACW, not to mention people acquainted with the wonderful staff who have been – and will be – working on it. Amongst that long list lurk individuals who, while talented by their own right, have gained notoriety as part of one of the most talented crews of artists in the current industry. We might as well call the group team imas, aka the people responsible for the phenomenal work on 2011’s The [email protected] and its Cinderella Girls follow-up. Perhaps “lurking” isn’t the right way to phrase it, though, because the massive overlap occurring here baffles me as much now as it did a month ago. 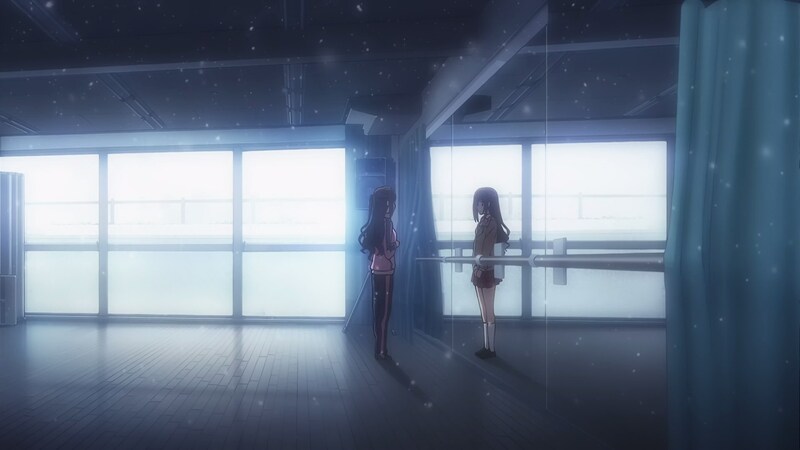 Typically we see this team disperse and spread throughout A-1’s endless stream of projects whenever there’s no imas to work on, so it became apparent that something strange was up when the majority of them practically fell off the face of the earth once Cinderella Girls had wrapped up for good. This led certain hopeful individuals to believe that maybe, just maybe, they had already began work on the inevitable Million Live! 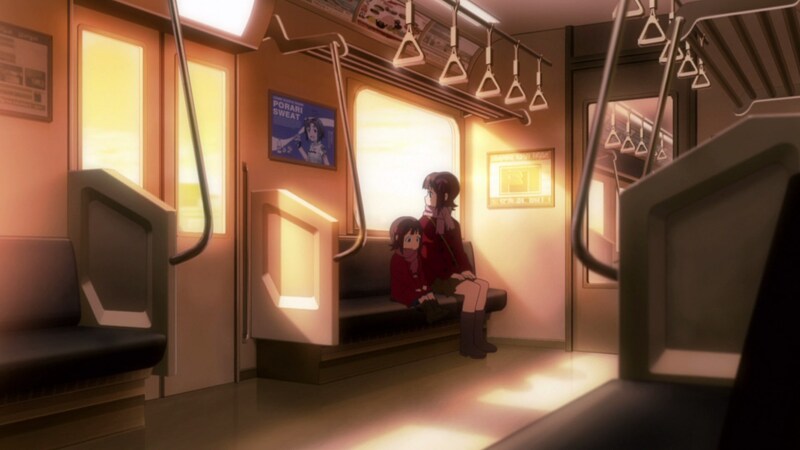 anime in an effort to avoid the fate that Cinderella Girls had suffered on the production side of things; hardly a farfetched idea, given the unprecedented circumstances! 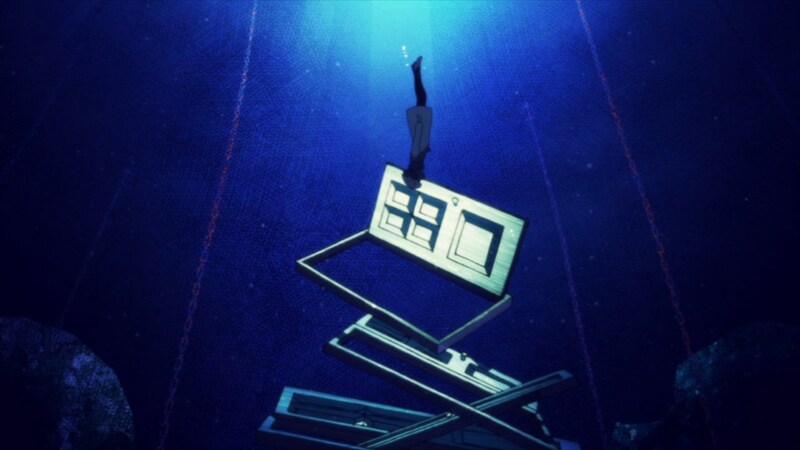 Those hopes began to crumble with the revelation of Shelter and the involvement of both Toshifumi Akai and Megumi Kouno, two key figures within the franchise, and were eventually annihilated when staff listings revealed the cruel reality that Occultic;Nine really had stolen all of them away; even Vividred Operation, which had a large enough overlap as it is, wasn’t quite on the level we’re seeing here. 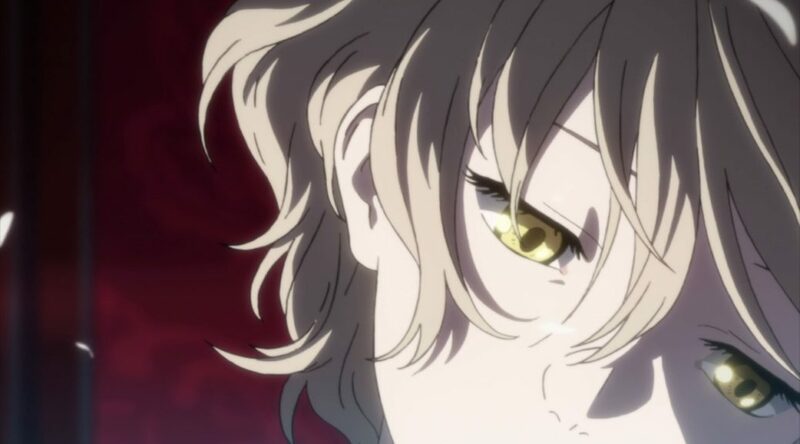 It isn’t quite all of them – for example, director of the 2011 series Atsushi Nishigori has ascended to a higher plane of existence after lending his hand to both Doukyuusei and Your Name this year, while episode director/storyboarder Kentarou Suzuki has his hands full directing next season’s Marginal#4 – but even then, a reunion of talent of this calibre remains a surefire way to turn many a heads at breakneck speed. The goal here isn’t to talk about the team as a whole, though. That might be something worth delving into in a later post, but for now, let’s focus on the individual whose participation was the deciding factor in convincing me to finally pick the show up: Noriko Takao. 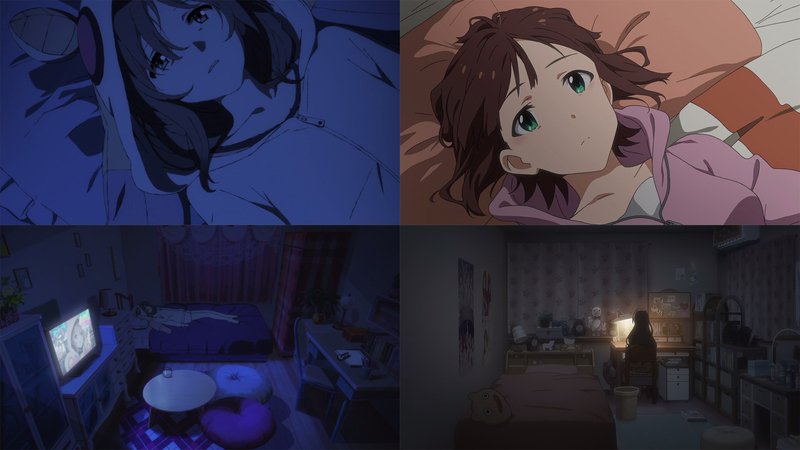 The ex-KyoAni, partner-in-crime of Nishigori’s during The [email protected], and eventual director of Cinderella Girls had already turned up in O;9’s second episode as part of the key animation lineup; that prompted multiple jokes about how she would be likely to return later down the line to direct an episode. Lo and behold, magazines revealed that she would indeed be doing just that – a week after Masashi Ishihama no less, which I believe qualifies as simply showing off. 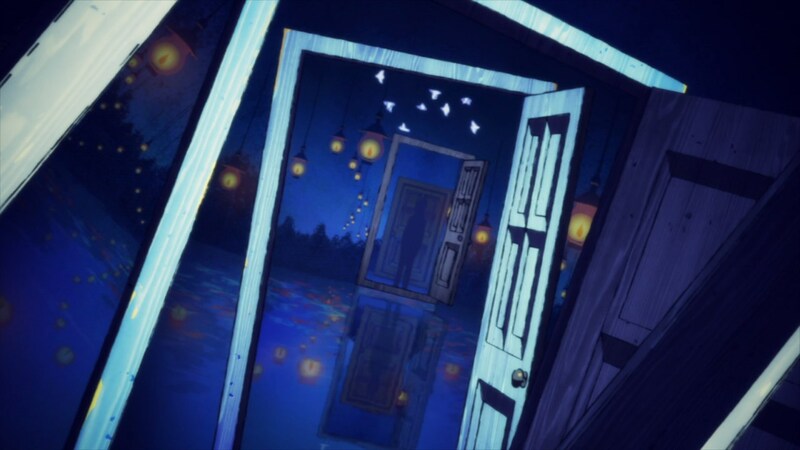 Those familiar with Takao’s work may have caught themselves considering the possibility that her directional style would be at odds with the show itself, and that’s not something one can fault them for, either. 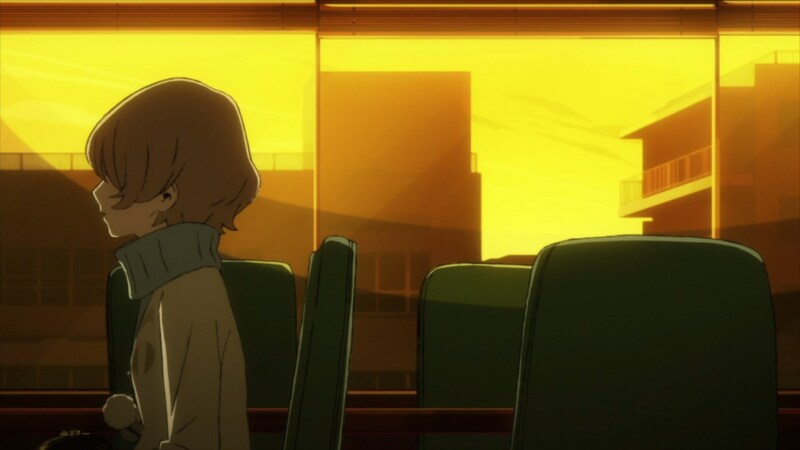 A director whose forte lies in using quiet moments to build up to powerful climaxes does feel inherently incompatible with the consistently hectic and messy nature of O;9, but fortunately the show does allow for each episode director’s personality to shine through – as we saw last week with Ishihama. 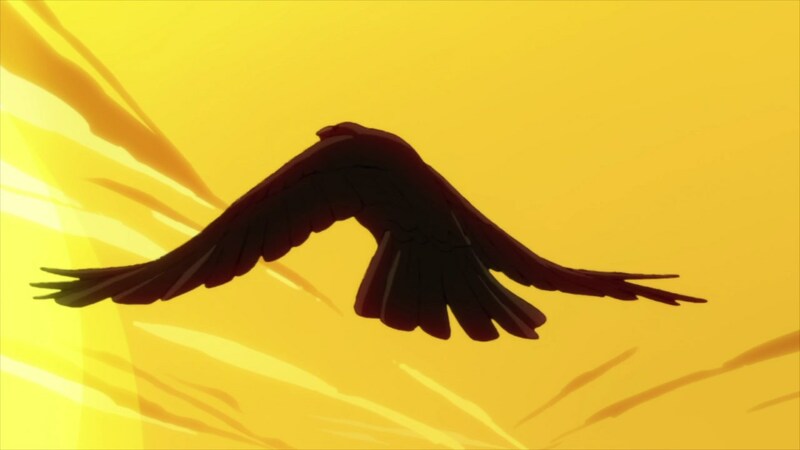 The striking shots featured right as the episode opens almost feel like they exist to prove that point, though funnily enough this is an aspect where both Takao and the show’s interests overlap, as they both tend to favour the use of sunset to accentuate a scene. 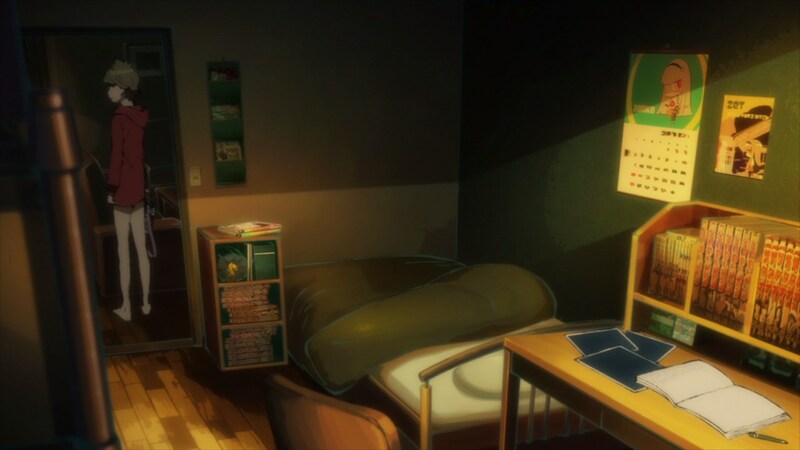 From there we make our way to Yuuta’s apartment, where – in a nice twist of Takao’s penchant for the use of reflections – he finds himself struggling to process the idea of his own own name being featured amongst the list of people found dead at Inokashira Park. 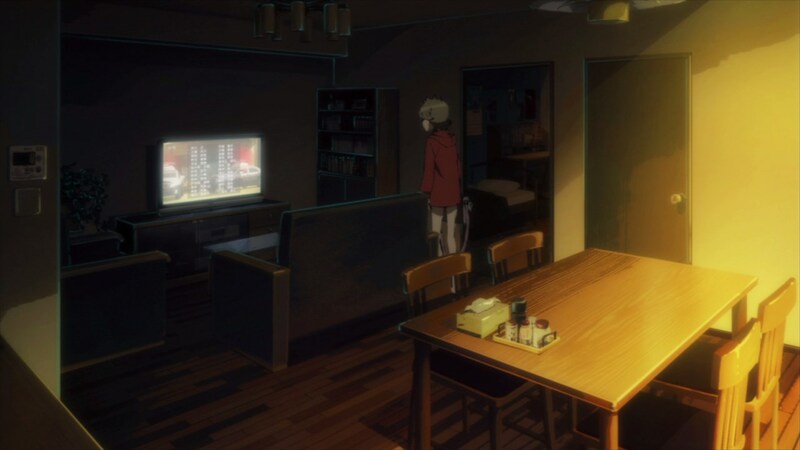 and the spatially aware layouts during this sequence help instill the sense of isolation he goes on to experience once he leaves his apartment and realizes most people aren’t noticing him. 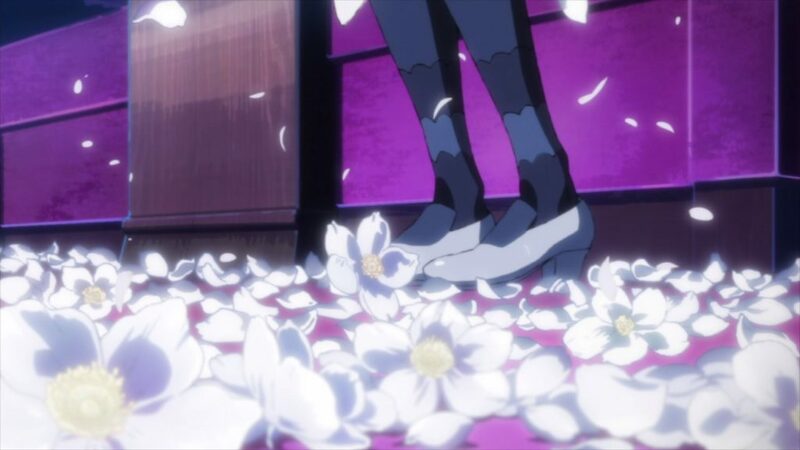 Unfortunately he joins up with the rest of the crew following this, leading to a 6 minute long verbose conversation that not even Takao could make interesting – in this regard, Ishihama’s framing of similar scenes had the upper hand. On the bright side, what follows serves as the reason as to why Takao’s involvement with this episode is perfect: the introduction of Asuna and her psychometry. There’s a plethora of ways to play about with a power like this, but she takes the concept of it being a door into the consciousness of others very literally, while also using this same idea to make sense of the words she uses to trigger said power: showing now. 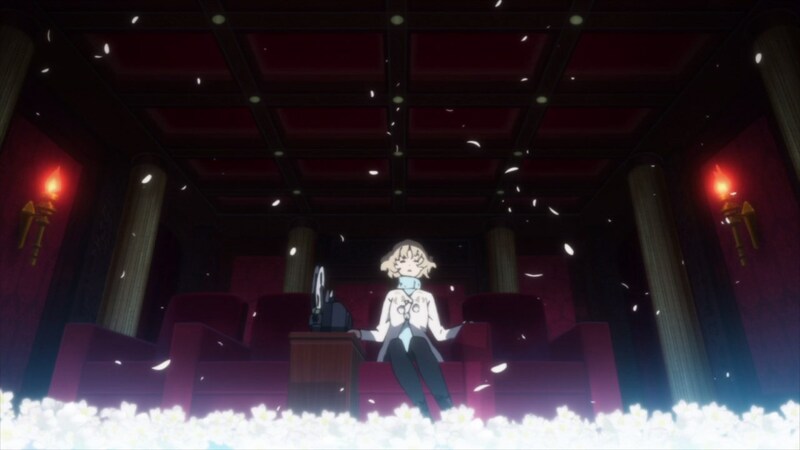 Not only is it a door into their consciousness, but the theatre imagery is appropriate considering the voyeuristic nature of her power, even more so when it’s all framed from the perspective of the person whose memories she’s reading. Perspective isn’t the only common factor between the multiple uses of this power that we see throughout the episode, though; the greyscale filter applied to the footage keeps us conscious of the fact that these are the memories of the deceased she’s looking at, a fact stressed by how we’re not shown the intricacies involved during the one time she uses it on the living. 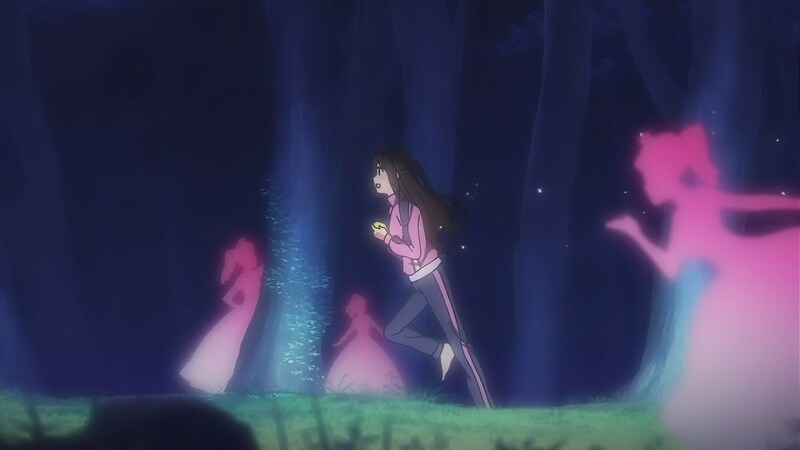 This works wonders later in the episode, as it only helps to highlight the disturbing nature of the events at Inokashira Park when she finally witnesses what happened there. 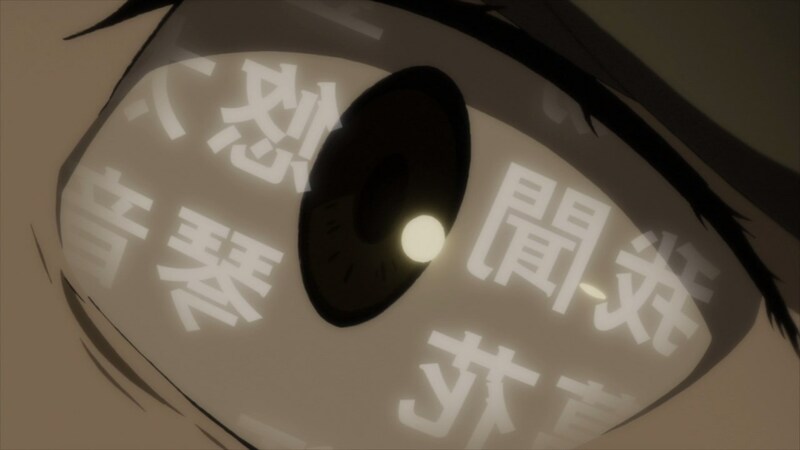 The most fascinating thing about this episode is that it feels almost like an experiment of sorts for Takao, yet it doesn’t stray away entirely from what one would come to expect from her. 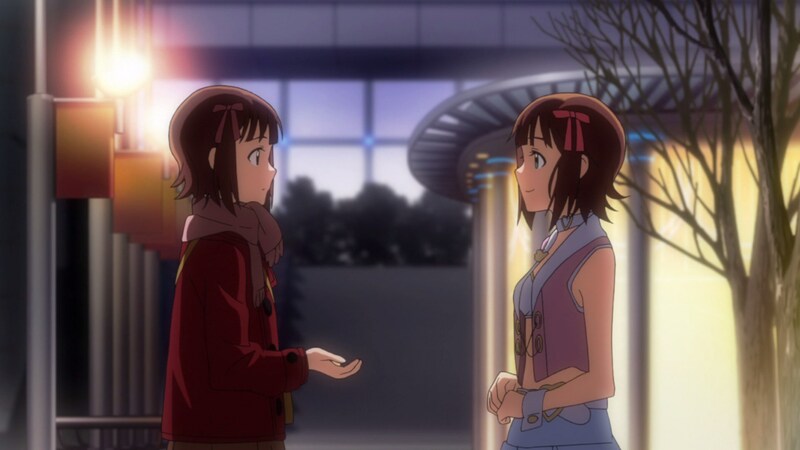 Eyes seem to have become a new venue for which to apply her love of reflections, and the imagery present within the psychometry are likely a result of the experience gained from directing Cinderella Girls. Some things never change though, so we are treated to familiar shots here and there, but I’d simply be out of my mind to complain about the presence of idiosyncrasies from someone as talented as Noriko Takao. I still won’t forgive this show for stealing all my Million Live staff though. I picked this up last week and marathoned all of what was out solely because of the incredible production values. The story is okay, if a bit disjointed, and I’m not really digging any of the characters, but damn, I’d literally watch 100 episodes of this if it could maintain this level of production. As a massive Ishihama fanboy, I’m thrilled he got a full episode to work on, and I’m all about that OP. So good! 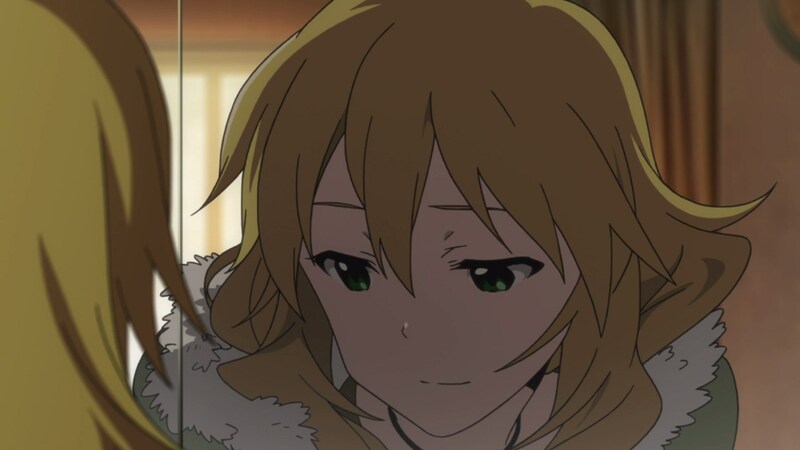 The idea of O;9 keeping imas staff locked up for 100 episodes had me glancing over to the bottle of vodka beside my bed, but yeah, it’s nice seeing everyone get a chance to shine. The strong schedule’s a bonus too considering what they were going through this time last year. If there’s one good thing that waste of space Yamakan ever did, it was to train Noriko Takao to be an episode director. Well, she ended up FAR surpassing him by the way, both in talent and in likability. Like I said, it was literally one of the few good things he ever did. To be fair he’s even bragged about having tutored Yamada a bit, so who knows what his training even amounted to. Chances are Takao would have developed her beautiful style even if he wasn’t around at all. Thanks SO MUCH for replying by the way. And you’re right, he’s nothing but a waste of space.